How did you hear about the Keep Animals Safe campaign? Your feedback will help us in designing future campaigns to improve animal welfare! 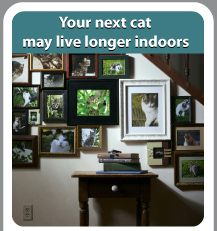 In support of the Keep Animals Safe Campaign, Off The Cuff Marketing (OTCM) held the “Make Your Cat A Star” contest.